On the morning of Sunday, June 12, I was in church with my iPad on my lap and my Bible app opened to 1st Corinthians. Our pastor had just begun the latest sermon in his series, "Sacred Mess." A CNN alert caught my eye telling me that yet another shooting had taken place, this time in the wee hours of the morning at a club called Pulse. I swiped the notice away and looked back to my pastor. I hate to say it, but I've grown immune to the constant death notices. Whether here in our country or elsewhere in the world, it's become frighteningly easy to dismiss the loss when it is somewhere "other." Niels and I are trying to raise our son to be a global citizen, but it's so much easier to change the channel or scroll away when the news is bad. I don't want to think about lost lives and I don't my son to lose his innocence that people are good. On Monday night, I couldn't fall asleep. I was scrolling through my Facebook feed when I saw a link to an article by John Pavlovitz on his aptly named blog Stuff That Needs to Be Said called "The Forgotten Children Killed in the Orlando Shooting." It wrecked me. Please take a moment to read his words that are so much better than anything I could have written. I'll wait. I really shouldn't have needed the reminder that the victims of the shooting were not some faceless strangers in Florida. Each of the 49 individuals at that club were someone's baby. Someone who was wanted and loved and who will be horribly missed. It didn't take much for me to imagine how I'd respond if something happened to my baby. My heart hurt and I didn't know what to do about it. On Tuesday I read some articles about the victims, who they were and what their lives were about. One thing that stuck with me is that for the people at Pulse that night, the club was their safe place, where they could be themselves, be loved, and find joy. And that man violated their safe place and made it a place of death. That infuriates me. Schools, churches, and clubs. These are places of community, places to find your tribe. They should not be places where one has to worry about coming out alive. I have no words to process how I feel about this reality in our society. I'm stuck with anger and profound sadness. 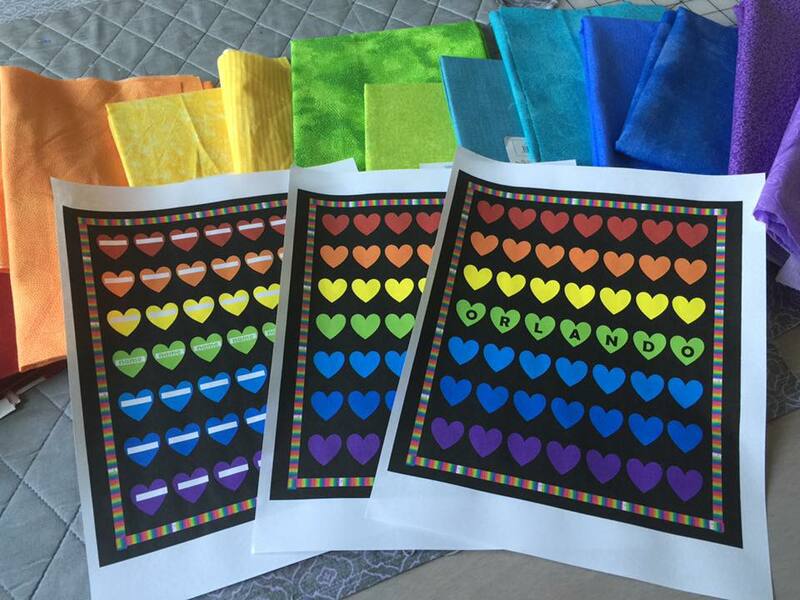 Tuesday night, I was again scrolling through Facebook when I learned that the Orlando Modern Quilt Guild was requesting quilt blocks with a rainbow and/or heart theme. I thought it was a nice idea, but also thought about the baby quilts on my to do queue and the big wedding quilt I was about to start. It would be easier to send some money. As I nodded off, I was thinking about our budget and calculating if I had time to make a block or two. I woke up a few short hours later with the picture in my head of the full quilt I wanted to make, needed to make. Because what I can't express in words, I can create in a quilt. There is a time for politics, for hard discussions on gun control, for reconciling the hard questions of one's faith. But this is not that time. This is the time for compassion, support, and love. I show my love through soft quilts. I can't bring a loved one back, but I can make a tangible reminder that that person existed, was loved, and is remembered. The basic design for this quilt is very simple: 49 hearts. Forty-lives lives were lost. 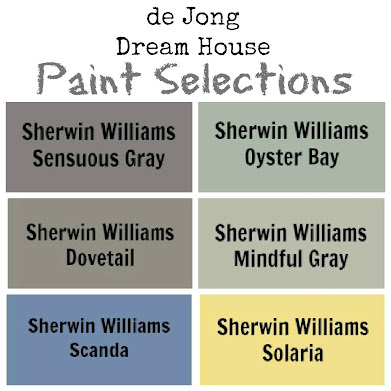 Seven colors of the rainbow. 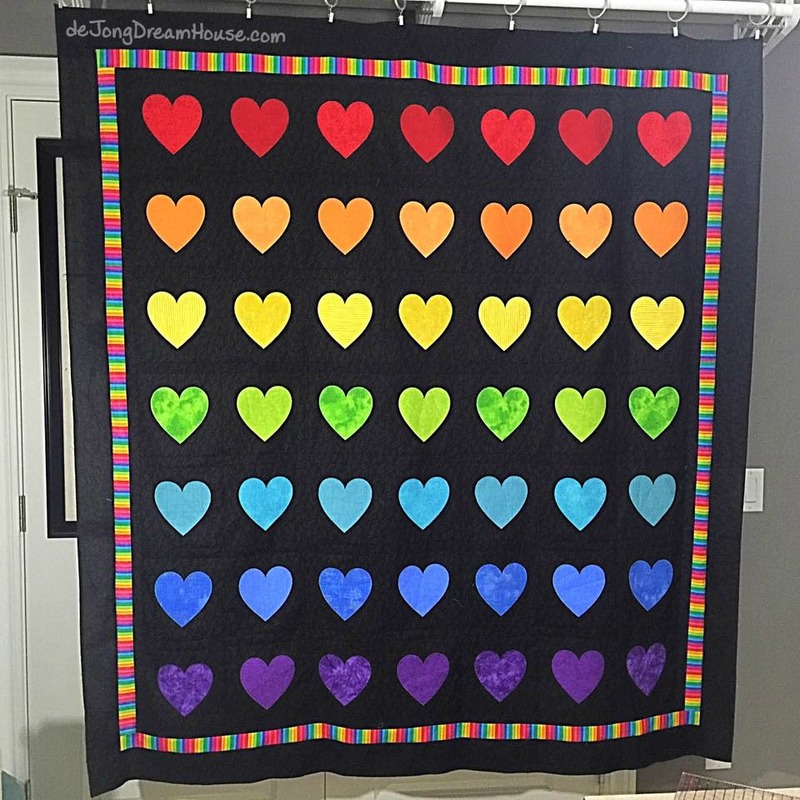 49 hearts in rainbow colors. I have a goal of shopping my stash first, but I remembered the black musical notes fabric from Joann. I've wanted to make a quilt with a dark background for a quilt, but I loved the idea of the tonal treble clefs to lighten it up a little. As I got started, I wasn't sure which of the 3 designs I would end up using. I'm grateful to my fellow quilters from the Facebook page Quilting Show and Share for helping me think through my options. I don't know who will receive this quilt. I may be the family member of a victim. It could be a survivor. Possibly it will go to a first responder from that night or to The Center (a LGBT Community Center), or the Zebra Coalition that serves LGBT youth. Given the unknowns, the consensus was to go with option one, which is the most subtle of the quilts. Each 8" block has a 5"x 5" heart centered in the middle of it. I continue to be grateful that I learned to cut fabric on my Silhouette Cameo. It makes applique so easy! Even thought I opted not to sew names on the hearts, I still took a moment to say the name of each victim as I worked on their heart. I read a biography to learn about them. I prayed for peace and comfort for their grieving families and friends. I prayed that I would be a person of peace, and that God would open my eyes to see the needs around me and live with open hands to share the burden of those who need. While I was working on this quilt, we had two international guests staying with us. Tom and Ethan, from the UK, are spending the summer coaching soccer. They spent a week with us when they ran a clinic nearby. Sewing went a little slower while they were here, but I never regret opening our home to new friends. View of the design wall from the laundry room mirror. 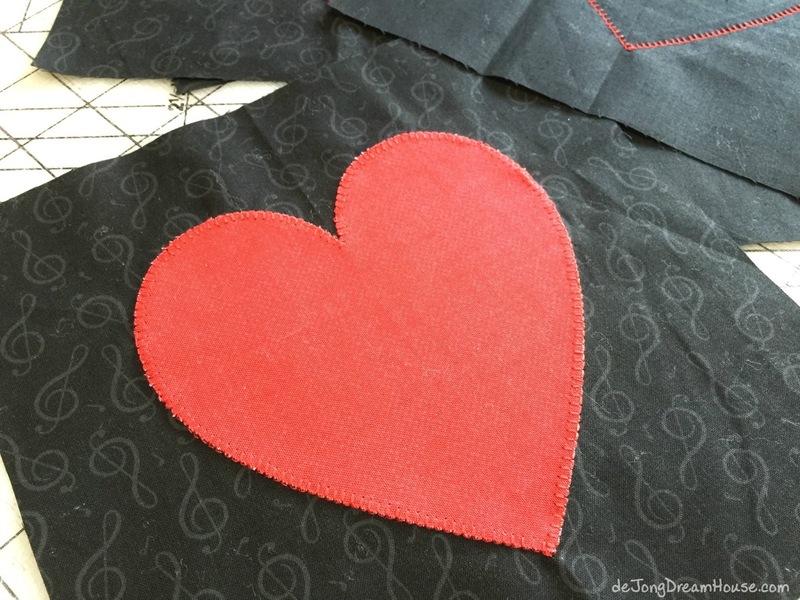 I used a blanket stitch to applique each heart. 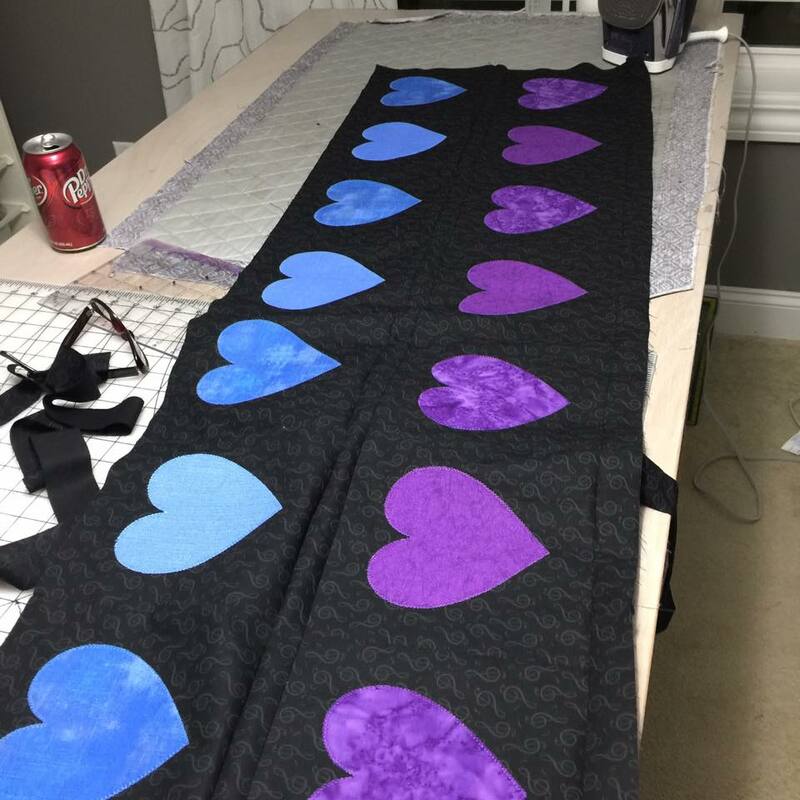 Once all the hearts were appliqued, the piecing went together pretty quickly. I added a 1.5" sashing between the rows to make the quilt a rectangle rather than a square. It would have been easier to have used a 8"x 8.75" block to start with but easy is overrated, right? The main challenge I had with this quilt is learning I have Achilles tendonitis. 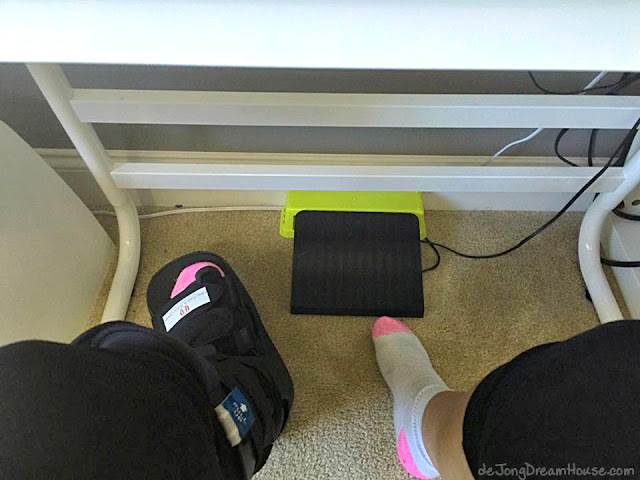 My doctor warned me that I may be wearing the boot all summer, but I'll have a better idea after I start PT next week. 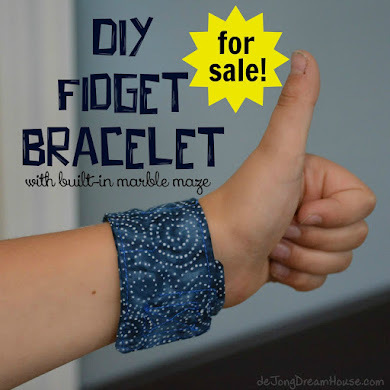 It's a bummer but I have a few things to be grateful for: 1) it's not my quilting foot (or driving foot) and 2) my 7-year-old has been forced to do a few more things for himself, and me! He was keeping me company in the craft room one day after Camp Invention. He saw me trying to capture my runaway foot pedal with my good foot and came up with this solution. Once the heart blocks and sashing were pieced, I finished with a 1.5" inner border of a rainbow stripe fabric from my stash and a 3" outer border with the same black music fabric. Once the quilt was pieced I was stuck for a few days on how to quilt it. Since I finished updating my craft room to fit the free motion table, I haven't tried any free motion yet! I have a project in mind to start practicing, but I didn't want to mess up this quilt! My eyes are always drawn to the piecing of a quilt, and especially with this one, I didn't want quilting to take away from the hearts. I considered echo quilting the hearts, but I wasn't happy with how (un)steady my work was, so I ripped out what I started and went back to straight lines. I really didn't like the idea of straight lines through the hearts because it reminded me too much of flatlining. Finally I opted for simple stitching in the ditch around the heart blocks. I used my spool holder trip for binding and it worked like a charm. I remembered to take a photo of it so next time I won't have to be halfway through binding before I remember how to avoid tangling up my binding. Labeling a quilt is the icing on the cake for me. I love to write a personal message that fits with the theme or occasion for the quilt. It's harder when I don't know whose hands this quilt will land in, so I kept it short and sweet. I don't usually include the blog address, but I really hope that the owner can find me and read about how much love was put into their gift. I'd also like to hear more about their loved one or experience on that horrible day. I finished as the sun was setting. I had been hoping for a good rainbow when it was time to take the photo but we've had a week of beautiful clear days. My boot prevents me from climbing on the ladder for my normal photo spot, so I recruited Niels and a neighbor to hold it up. 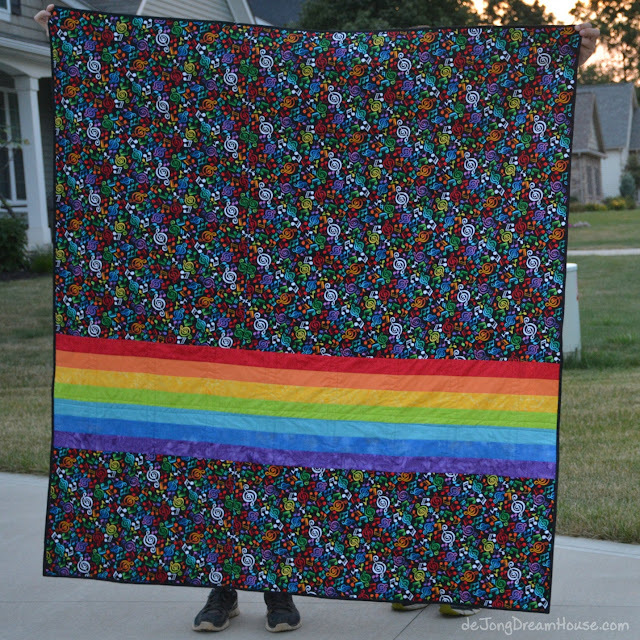 The backing fabric is a rainbow explosion of musical symbols. I like to think the front of the quilt is the sadness of the tragedy and grief for the lives lost. The back is a celebration of who each person was and the joy they found singing and dancing at Pulse. As we were preparing to take the picture, our son swooped by full of his own joy and innocence. When he remembered why I made this quilt, he offered up his biggest smile. I hope he and this quilt bring some joy and comfort where it goes. 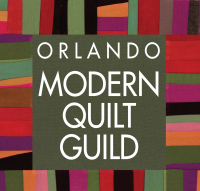 If you are a quilter or want to try sewing a few blocks, I encourage you to check with the Orlando Modern Quilt Guild for details. Quilt blocks are due by August 15, 2016 and completed quilts are due by September 15, 2016. 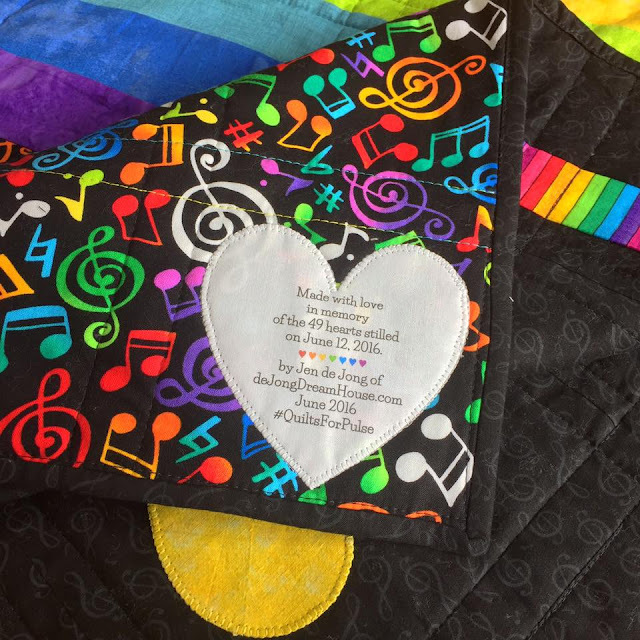 Orlando paper, The Beacon News, posted an article about the Quilts for Pulse project. If you look closely, you can even see a picture of my quilt. It's been a lot of fun watching her post photos as the quilts and blocks come in. I'm a bit partial to this picture. And as I was posted photos of my progress on Instagram, Monaboo22 asked if she could make her own version. 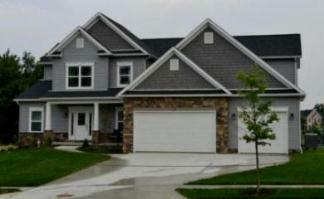 She finished today and it looks awesome! It's beautiful! 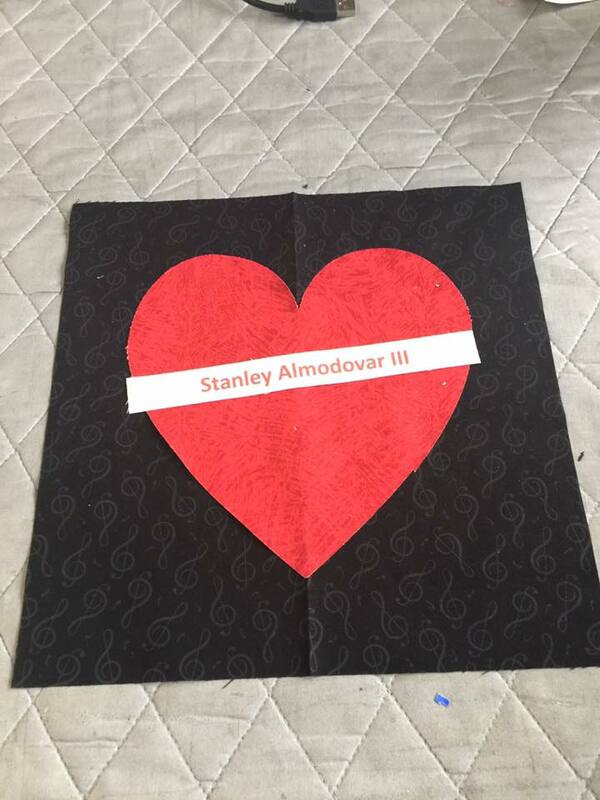 I hope the recipient comes here to see all the love and thought that went in to this quilt. I really, really hope so! The quilting community has been so generous. 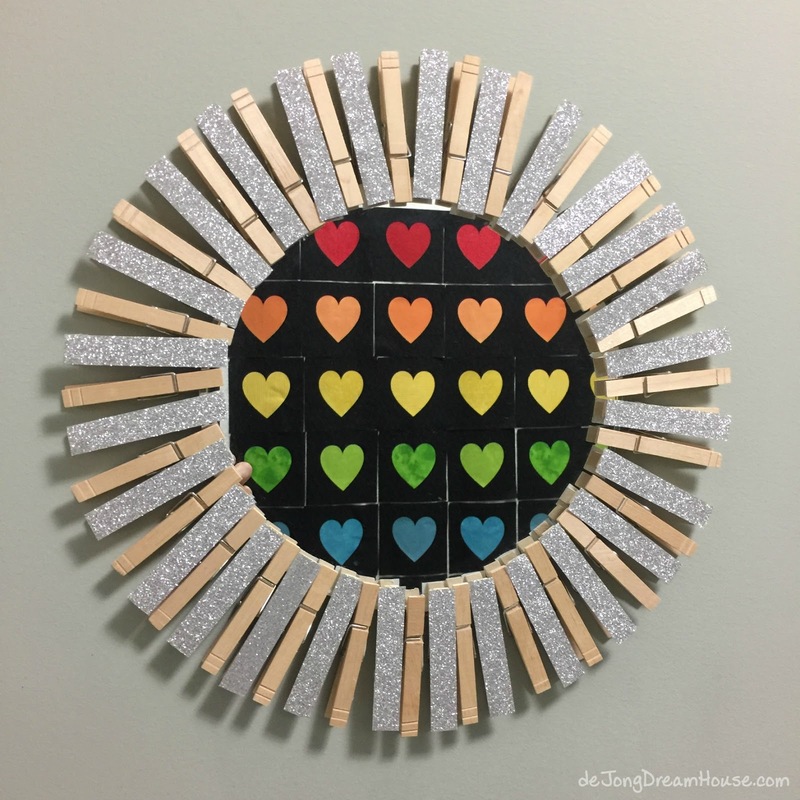 It's been awesome to watch my fellow quilters post their progress on blogs and Instagram. Jen, Such a beautiful quilt, I am sure the recipient will feel the love that went into making this lovely tribute quilt. Thank you. That is my wish, as well. Thank you! It has been so wonderful to see all the gorgeous quilts being made for this project. Simply beautiful. A fast finish from the heart. Someone will cherish this quilt. I tend to get lost in my projects. Once I start, I just want to get them done! I feel so touched by this post. Thank you for sharing all the details of your thought process and decision making. And thank you for being such a stellar example of a generous quilter. You have inspired me to be better today. Your comment totally made my day. Thank you! 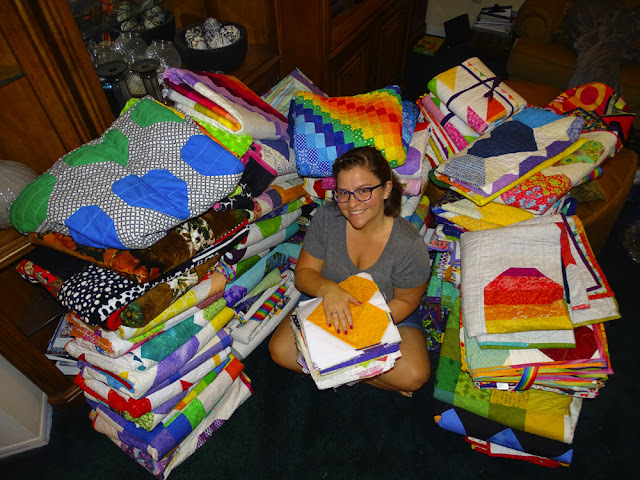 Quilters are some of the most generous and compassionate people I know. 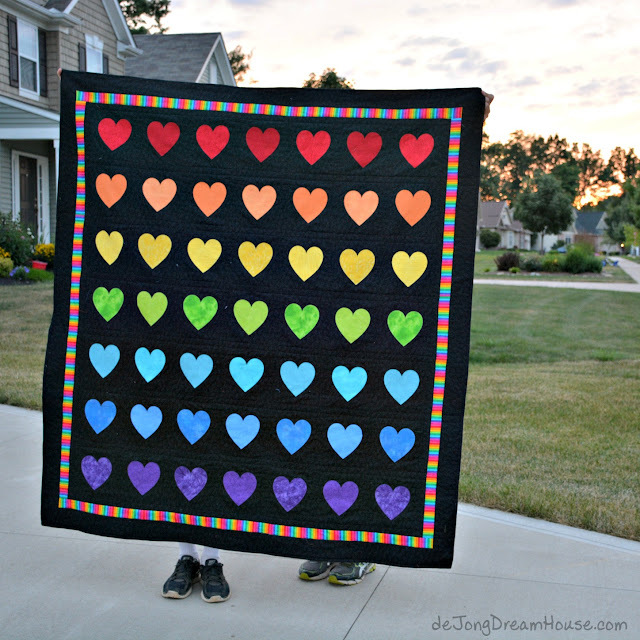 This is a very pretty heart quilt. What a beautiful gift to someone effected by Pulse. Thank you! 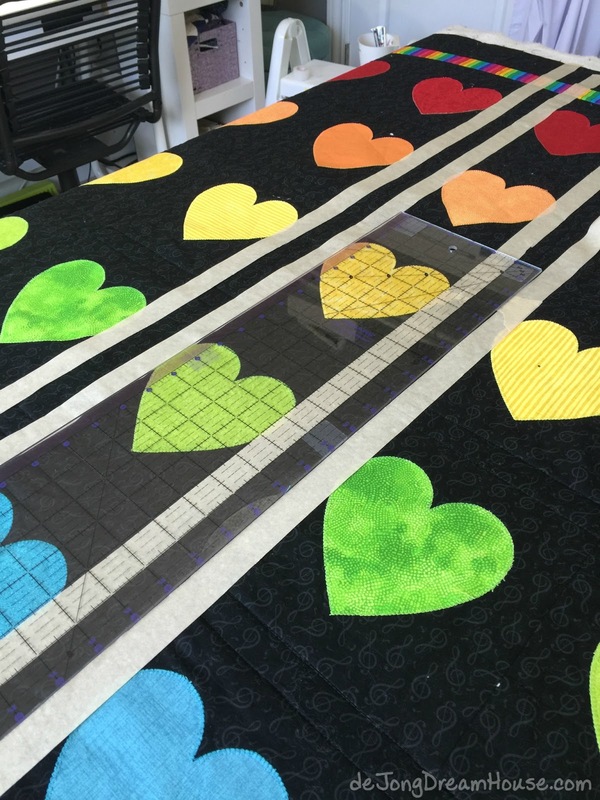 I love seeing all the fabulous heart and rainbow designs the quilting community is creating for Pulse. Thank you. I love that quilting is an art that gives itself away. 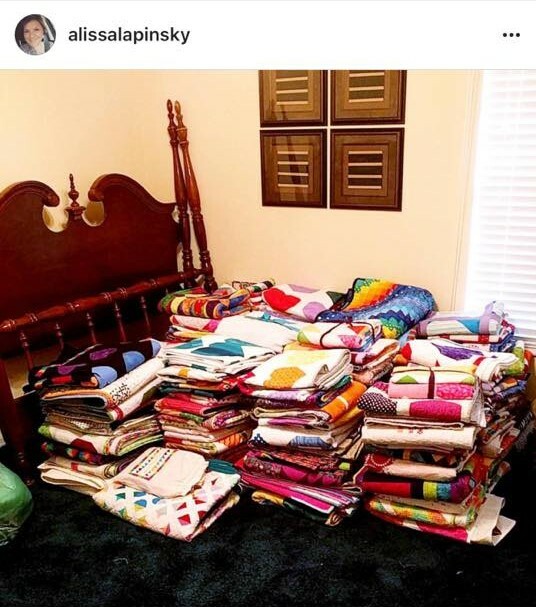 Hopefully whoever receives my quilt will find this post and tell me about their connection to Pulse. Jen: This is so well written, and your quilt is such a wonderful tribute. I needed to work on a quilt as well. Thank you. Every once in awhile my words come out right :-). The event at Pulse shocked me, but we were away on vacation with little internet or television, so news was sporadic at best, making it easy to dismiss or forget. This post, though, really drives it home and, yet, it's hopeful and beautiful. Your quilt will have much meaning to whomever receives it. Already you've affected many people with it--imagine the people who will be touched by your kindness and generosity when it arrives in Florida. Thank you! Thank you so much! I have a hard time finding the balance between being aware of world events and shielding my son from all the harsh realities. I find that quilting brings the balance I need. Thank you so much for your kind comment. 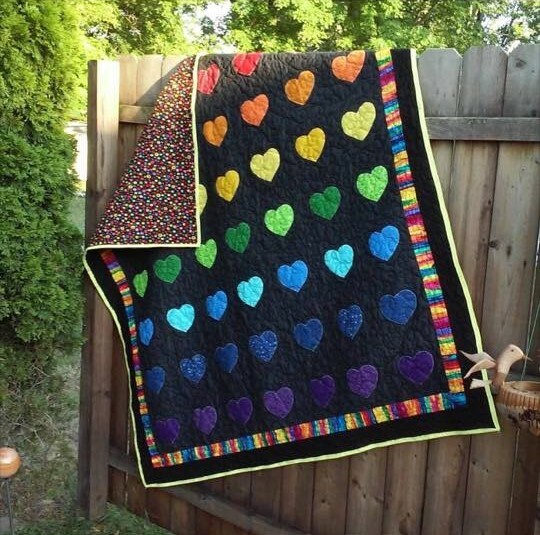 Beautiful quilt for a wonderful cause that shouldn't have existed. Thank you. When I saw it, I knew it would be perfect! Your post brought tears to my eyes - I'm with you on everything you said, the urge to close our eyes to the violence. But LOVE WINS! No matter what. This is a tragedy that is all too familiar, but I still believe that LOVE WINS. 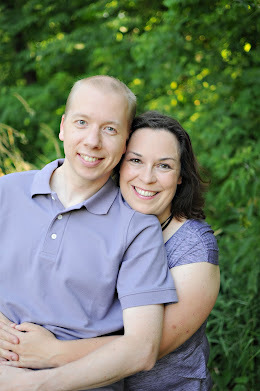 Thanks for the wonderful post and thoughts. It is so discouraging to watch the news these days. 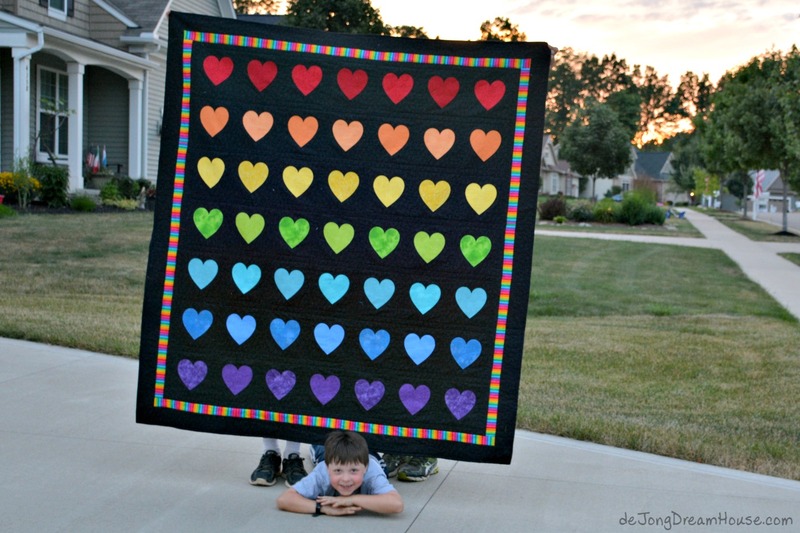 I wish I could make everyone a quilt and send them back to kindergarten to learn to be kind. Thank you for sharing your thoughts. I am making a quilt also. I like your label. Thank you for posting this, and responding to the call for love. I particularly love the wording on your label. You've inspired me for the quilts that I plan to quilt as my guild prepares its contribution to the cause. Lovely quilt, beautiful tribute! Thanks for sharing this with Oh Scrap! Beautiful quilt! Thanks for the inspiration! Simple, but beautifully made. It will warm someone's heart, I'm certain. I applaude your dedication and generosity. What a great post. I so enjoyed your son's smile and delight in walking through the photo shoot. He's pretty clever. I'm going to use his idea with my escaping foot pedal. Thanks for sharing. What a wonderful post. The quilt is lovely and the love is obvious. Jen, your heart quilt is beautiful. I love that you used the hearts to represent each person who was lost. You put so much thought and love into every step of creating this quilt. As long as we can band together and love, the evil cannot win.